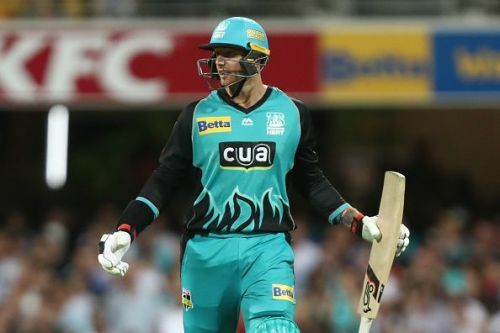 James Pattinson was called back after being incorrectly given out in the inaugural match of BBL 08 between Brisbane Heat and Adelaide Strikers at the Gabba. The incident took place in the second ball of the 13th over bowled by Rashid Khan. After Jimmy Peirson dabs the bat to short third man, a single is taken and James Pattinson puts in a dive and made his ground before the bails were removed. Although there was clear evidence that Pattinson's bat was in the crease and grounded, the third umpire gave him out. While everyone was wondering whether the wrong button was pressed and this was just a simple mistake, Pattinson was still at the crease and there was confusion everywhere. As the batsman started to walk off, boos were ringing around the Gabba and Brisbane Heat captain Chris Lynn was engaged in a heated conversation with an official. On commentary, former Australian captain Ricky Ponting called it a "100% wrong decision" and everyone seemed bemused with the decision. While all of this was happening and Pattinson was walking out towards the pavilion, astonishingly, he came back to the crease. While everyone was wondering what happened and whether the third umpire had relayed the information that it was a mistake, on commentary, Alex Carey confirmed that it was the Adelaide Strikers who called back Pattinson after he was given out. Wicketkeeper Alex Carey told the official broadcaster on commentary that the Adelaide Strikers called Pattinson back because they believed that after watching the replay on the big screen, they knew it was Not out. Carey admitted that both he and captain Colin Ingram agreed that Pattison was in and called him back even though the decision from the third umpire was out. While the right decision was made in the end, BBL 08 began with a controversial incident that they clearly could have done without. NOT OUT! After a long delay and being given out by the third umpire, James Pattinson is continuing his innings.